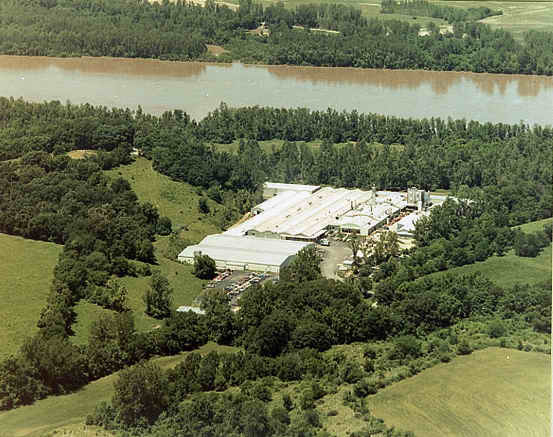 Nestled on the banks of the Missouri River in New Haven, MO, Marlen Textiles manufactures several proprietary coated and laminated fabric products, sold through an international network of wholesale distributors serving the marine, awning, tent/camping, outdoor, glove, safety, industrial, medical and military industries. Our custom coatings and lamination's, meet the most stringent specifications for both commercial and military use, with acrylic, urethane, and other polymeric systems applied to a variety of natural synthetic substrates. Polyester fabrics can be treated to be resistant to fire, water, mildew, weather, rot and abrasion. Whether it is one of our standard products or a custom creation, our fully equipped, state of the art laboratory facilities provide our experienced chemists and technicians the opportunity to develop, test and monitor everything Marlen Textiles produces. Therefore, our customers are assured the highest level of uniformity and standards of performance.